Amidst international day of wesak, visit of Indian Prime Minister Narendra Modi and other priorities, the much awaited cabinet reshuffle seems to have got further postponed. The reshuffle idea has been in the air as an imminent possibility now for several months. Each time speculation has been that it would happen before the New Year or before wesak or after some important foreign visit by the President or the Prime Minister, but the reshuffle is yet to happen. Cabinet reshuffles are a common feature in democracies, they happen in the mid-term of most governments when there is a need arising out of a new situation. But the question is why it has become so difficult in our country this time. The main reason appears to be the very nature of the government in power – the dual control of the government formed under the nineteenth amendment to the constitution. Until the introduction of the nineteenth amendment, the 1978 constitution conferred all powers with regard to allocation of ministries and appointment and removal of ministers on the executive president. Whenever the political party to which the President belonged had the majority in parliament president enjoyed full powers with regard to appointment, dismissal or reshuffle of the cabinet. Even in the absence of the control of the parliament the president had substantial powers including the power to take over ministries. The situation after the introduction of the nineteenth amendment is quite different as the president’s powers have been curtailed to some extent giving more weight to the parliament. The amendment also makes special provision enabling the two political parties that emerge as the first and second parties in terms of the number of seats they win at a parliamentary election, to join together to form a government of national unity as found presently. 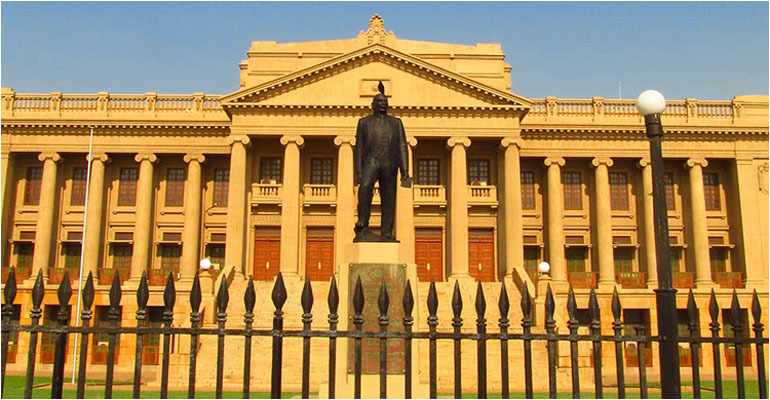 Accordingly, the SLFP faction led by President Maithripala Sirisena contested elections with the UNP on a common agenda and upon winning elections they had to agree on the sharing of cabinet portfolios and the number of ministries etc. in order to form the government. Naturally when two political parties with different ideologies try to form a government there will be disagreements and differences. This was obvious when two parties formed the current government and as a result there were delays in even swearing in of the new cabinet. However, as the parties had agreed on a common agenda and won the elections, despite ideological differences, initially there was less friction between them. Also, they had to somehow agree on the power sharing arrangement in the cabinet as there was an urgency to form the government and take over the reins of power. However, upon formation of the joint government when the two parties had to work together there has been obvious friction and that is probably the main reason behind the difficulty in agreeing on a cabinet reshuffle. The current delay in effecting the much talked about reshuffle has to be understood in this context – It’s as difficult as renegotiating a contract half way through a project. However, as time goes on any government whether it is a single party government or a multi-party one, realignment of forces can become necessary. Naturally some of the cabinet ministers who have been comfortable with their areas of power will want to hold on to their portfolios and a reshuffle will be difficult or nearly impossible if it is to be done with consensus. 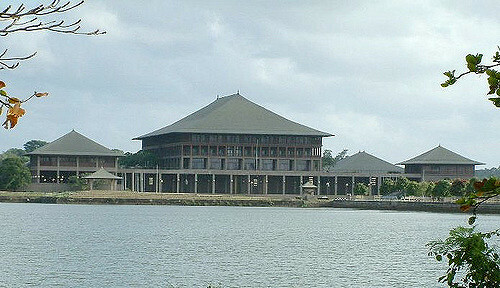 On the other hand, if there is difficulty in continuing with the government without such realignment of ministerial functions, it is mandatory upon the two leaders President Maithripala Sirisena and Prime Minister Ranil Wickremesinghe to rise above these differences and come to some compromise in order to carry on with the promised national agenda under the government of good governance. Then there is the issue about change of subjects assigned to each party. A major reshuffle will also involve change of subjects and there will be major disagreements when it comes to changing the subject areas given to each party. 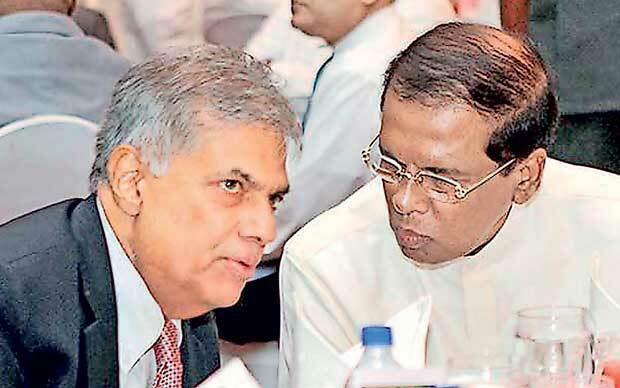 If one looks at the way these subjects were shared at the formation of the joint government, it is clear that subjects that are necessary to reform the economy have been assigned to the UNP thus giving more leeway for Prime Minister Wickremesinghe to personally get involved in economic development and planning. President Sirisena, at least at that point, seems to have preferred to play more of a regulatory and monitoring role as the head of the cabinet while keeping for himself some of the pet subjects like environment and Mahaweli Development, in addition to the subject of national defence which constitutionally came under his own purview. Towards the second and third years, tension has developed between ministers of the UNP and the SLFP while allegations of corruption have been made against some of the key ministers from both sides necessitating some changes in the cabinet and this is the basis upon which a call for a major reshuffle has been made. President himself on several occasions has hinted that there would be some major changes in key positions. Meanwhile, some of the key ministers whose portfolios were at stake have done everything within their power to avert any major reshuffle. Another story that has been in the political currency during the last few weeks is that there will be some board level changes in about fifteen key state institutions. Question remains whether such changes could be effected without changing the ministers because technically it is the respective ministers who have the authority to appoint or remove the directorates of the institutions coming under their ministries. There were also reports that the UNP has made it clear to the President that they do not want any changes in the ministries which are currently under them. If that position is upheld changes, if any, will have to be made only in the portfolios held by the SLFP and such a limited change will be far below the kind of reshuffle that has been anticipated while it will also not satisfy the demands of those who have been clamouring for such a reshuffle. All in all, indications are that sooner or later there will be some changes, but the nature and the extent of such a reshuffle is something that is difficult to predict right now. The other question is whether the current political landscape with a clear division within the SLFP is conducive for such a major shakeup in the government. This is more so because of the almost inevitable provincial council elections – elections in North Central, Eastern and Sabaragamuwa provinces that are much likely to take place after September this year.